Born to Worship is the third installment of the Praise Baby Collection, a compilation of music and video focused at leading little minds in worship. The collection is aimed at infants and toddlers up to age three, but at the same time it is a pleasure for parents too. Each product has included many classic worship songs and a handful of new worship songs that are sweeping through todays churches. It is the familiarity of the songs that give the parents and children something to enjoy together. 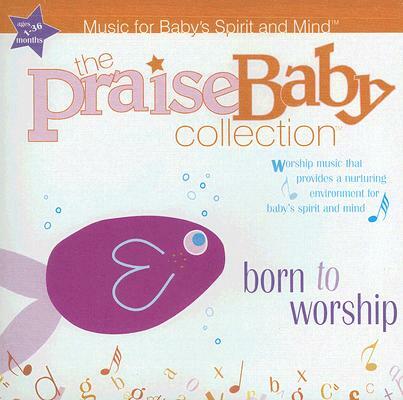 Praise Baby: Born To Worship by Big House Kids was published by Praise Baby in September 2005 and is our 11673rd best seller. The ISBN for Praise Baby: Born To Worship is 0660518265829. Be the first to review Praise Baby: Born To Worship! Got a question? No problem! Just click here to ask us about Praise Baby: Born To Worship. Now Playing: Step By Step Your browser does not support the audio element.